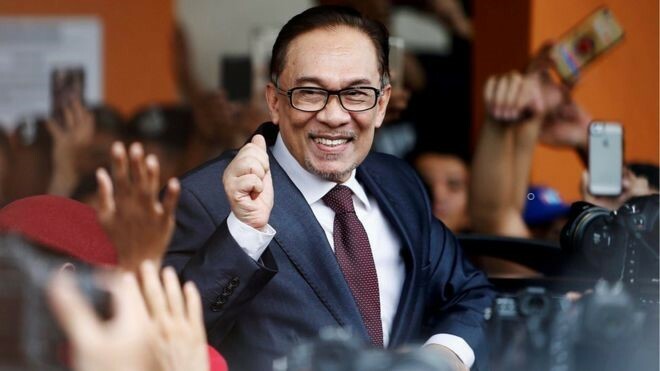 Today’s release of the Malaysian political leader Anwar Ibrahim is a welcome day for all those who wish to see greater freedom, democracy and reform in the Muslim world. Anwar was imprisoned on trumped up charges back in 1998 for challenging cronyism and corrupt practices in Malaysia. At a time when too many Islamic groups were (and sadly still are) overly focussed on the issue of Hudood penalties (the criminal code in Islam), Anwar urged people to rather turn their attention to the question of good governance and ensuring greater freedoms in society. He argued that it is the very lack of freedom in many Muslim countries and the resulting dearth of vibrant discussion and debate on key religious and political issues that has strengthened conservative and retrograde interpretations of Islam. Encouraging greater freedoms and allowing multiple interpretations of Islam to be debated is essential to facilitate much needed creativity in addressing the challenges facing Muslim societies. Without this freedom, creativity is stifled and creativity is key to making progress. At the end of 2001 I was invited (as part of the MCB) to a gathering of a hundred or so Muslims by the late Dr Zaki Badawi at a posh central London hotel where the guest of honour was Dr Mahathir Mohamad who was Prime Minister of Malaysia at that time and had just a couple of years earlier instigated the character assassination and imprisonment of Anwar. As soon as we were allowed to ask questions I made a dash to the microphone and asked how Dr Mahathir could possibly justify the unjust treatment of Anwar. A recalcitrant Dr Mahathir insisted that Anwar had engaged in criminal behaviour and his punishment was justified. To Muslims of my generation, Anwar was a true hero and inspiration. He had been the leader of an Islamic student organisation, ABIM, in his youth and had made the transition into government where he became a rising star and was widely tipped to become the next Prime Minister of his country. Anwar has suffered tremendously for his reformist stance which makes seeing him go free today all the more beautiful and moving. As the presenter in the video below of an Anwar Ibrahim talk on Islam and Democracy says, a person who stands firm on a principle and is prepared to suffer for it can end up moving a nation and indeed the world. This entry was posted in Government, Islam and tagged anwar ibrahim, islam and democracy. Bookmark the permalink.